Ikaika Erik Kang. Photo provided by Clifford Kang. Ikaika Erik Kang, 35, agreed to a plea deal in August on four counts of breaking antiterrorism laws in which he accepted a proposed 25-year sentence. Judge Susan Oki Mollway accepted the terms of the plea deal at Tuesday morning’s hearing. Kang told the court he knew what he did was wrong. Kang had begun expressing support for Islamic State, which the United States deems a foreign terrorist organization, by early 2016, according to the U.S. Department of Justice. Undercover agents from the Federal Bureau of Investigation began meeting with Kang earlier this year, some of them posing as members of the militant group. Kang gave them military gear and classified documents and agreed to teach them hand-to-hand combat in a video-recorded session, according to federal prosecutors. Lawyers for Kang filed three letters of support in court that described him as a diligent but withdrawn soldier who struggled with his mental health. 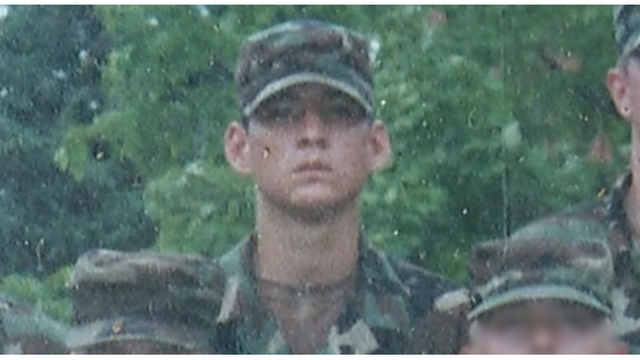 Kang’s older sister, Erika Takahashi, wrote that Kang grew up in a “very abusive household,” adding that he “is a good person on the inside.” Two soldiers who worked with Kang in air-traffic control at Alabama’s Fort Rucker military post used their letters to urge the judge to help Kang get counseling. Thomas Maia, who was Kang’s first supervisor at Fort Rucker, called Kang a “model soldier” but said he had worried about Kang’s odd behavior. This included staring at a wall for hours on end, saying he was trying to listen to the sound of his blood running through his veins, Maia wrote. Maia wrote that his efforts to secure a mental health evaluation for Kang were rebuffed. “He didn’t seek out ISIS on his own, he was approached and socially engineered by the FBI at the Army’s request,” Maia wrote, using an acronym to refer to the Islamic State. “If he would have been given adequate mental treatment back when I asked for it, none of this would have happened.” Federal prosecutors say Kang agreed to swear an oath of loyalty to Islamic State in a pseudo-ceremony organized by the undercover FBI agents. After the ceremony, Kang told the agents he was ready to take his rifle to downtown Honolulu and start shooting, whereupon he was arrested. I'm a bit curious here. Why was a mental evaluation at the request of this soldier's superior denied? From my understanding, Kang (25th ID) enlisted in 2001 and served as an Air Traffic Controller. Deployed to Iraq in 2010 and Afghanistan in 2013. The man said he was ready to go to downtown Honolulu with his rifle to begin killing people on behalf of Islamic State. Even with a plea bargain, I think he should have been given life in prison. Freewill is utilitarian in its inheritance. You have no idea of his political persuasion and such conjecture only highlights your stupid partisanship. Yet another example of the Trump cult’s burning hatred for the military. The more I read the more I disagree. The man should have received the mental health review his own commander requested. Further this was a clear case of entrapment by the Federal government. He made no effort to seek out the agents, they sought him. Instead of 25 years he should be getting the help he needed. It is clear to the people that know him best that's what is required not a draconian sentence in a fabricated circumstance were he caused or attempted no harm to anyone that I could surmise. I spit at lots of people through my computer screen. Not only does it "teach them a lesson" but it keeps the screen clean and shiny. Stolen fair and square from the Capt. Courtesey himself. Further this was a clear case of entrapment by the Federal government. And I really do not care to be honest. If agents had done this to myself or 90% of others in the service, the response would have been to rebuff them and report it up to the CIC. We are trained that from almost day 1. The very fact that he responded in the way that he did showed that he was favorable to recruitment, and was willing to go the next steps. The "entrapment" line I always find rather laughable. I guess it would have been better if it had actually been ISIS that recruited him?